ISLAMABAD: Muttahida Qaumi Movement-Pakistan (MQM-P) leader Farooq Sattar on Friday surprised all by attending the Muttahida Majlis-e-Amal-led All Parties Conference against alleged rigging in the 2018 elections, ARY News reported. The former MQM-P supremo who joined his party’s rebel faction led by Khalid Maqbool Siddiqui just before elections, rejected his party’s rabita committee advice. Farooq Sattar lost on all two seats he was contesting from Karachi to PTI candidates Arif Alvi and Aamir Liaquat Hussain but as his party refused to join the APC led by MMA. 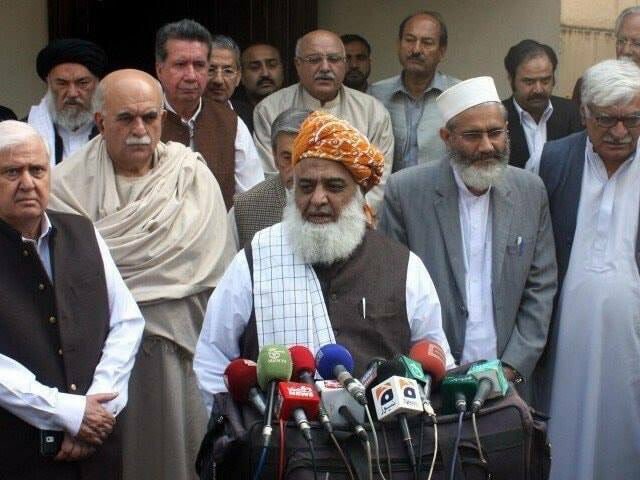 The All Parties Conference was called by MMA leader Fazlur Rehman against the alleged rigging in the July 25 general elections. Pakistan Muslim League-Nawaz (PML-N), Qaumi Watan Party (QWP) and the religious parties’ alliance leaders are attending the meeting. Pakistan People’s Party (PPP) refused to attend the meeting but said it supports the claims made by the party leaders attending APC.